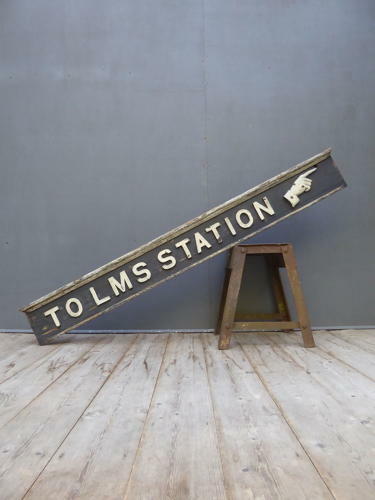 A scarce early surviving example of a large vintage 'LMS Station' railway sign. A wonderful sign, in thick framed timber with applied metal lettering (cast iron or lead) & detailed pointing hand. A beautiful piece of early British railway history & a fantastic decorative piece. Wear commensurate with age, good condition overall.